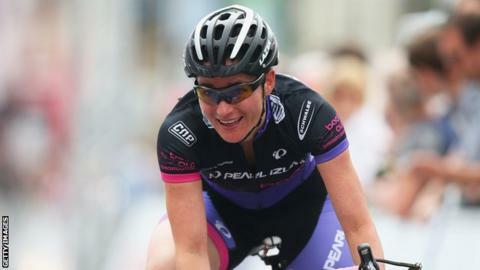 Storey completed a double with her win in the C5 road race after her success in Friday's time trial. "World road race champion! Yay!" the 36-year-old tweeted afterwards. "So chuffed - was a hard race to control being marked by everyone so had to lead the sprint out and it worked!"